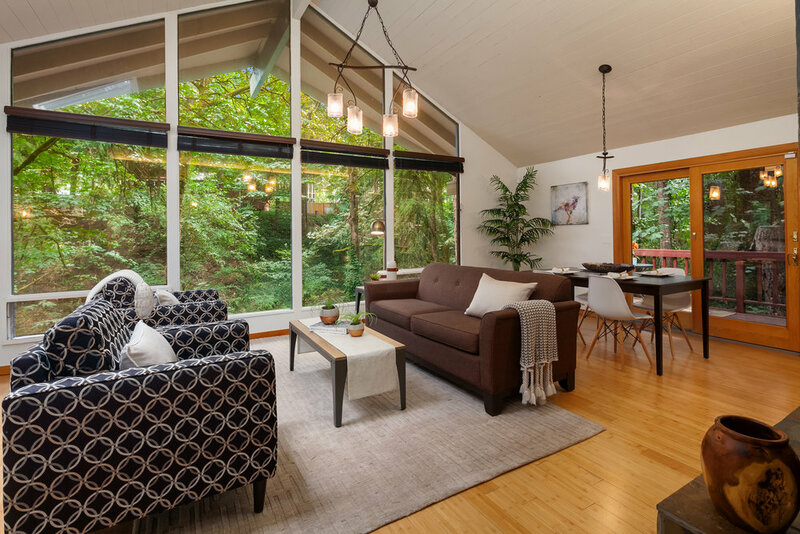 Light-filled NW mid-century feel, surrounded by lush canyon views. 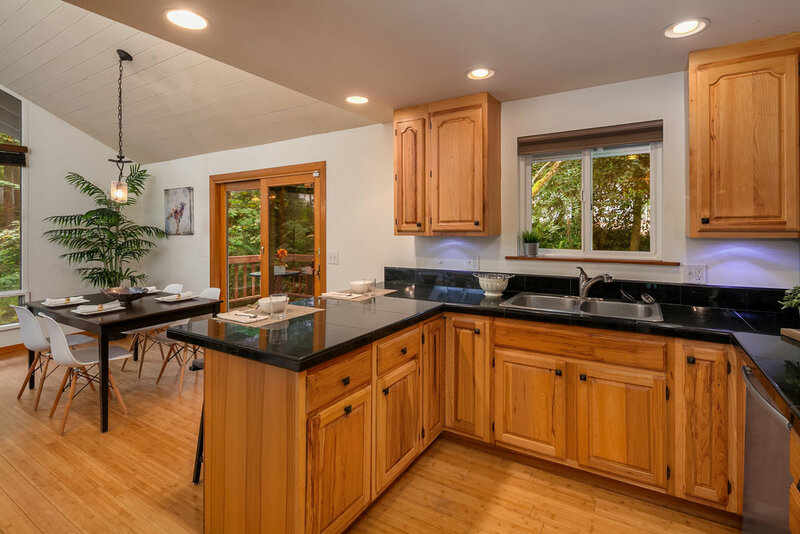 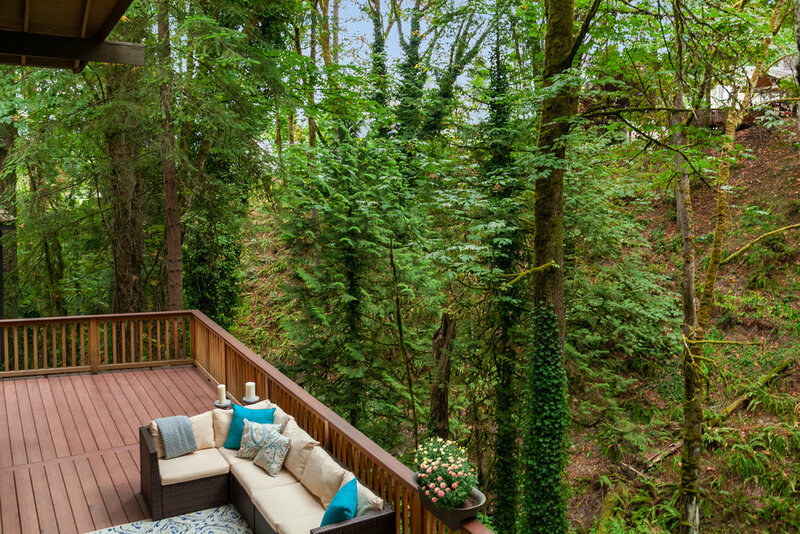 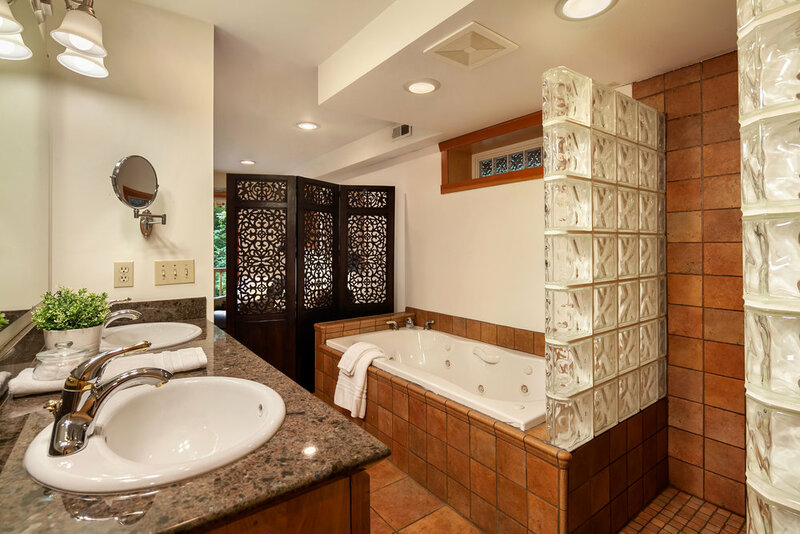 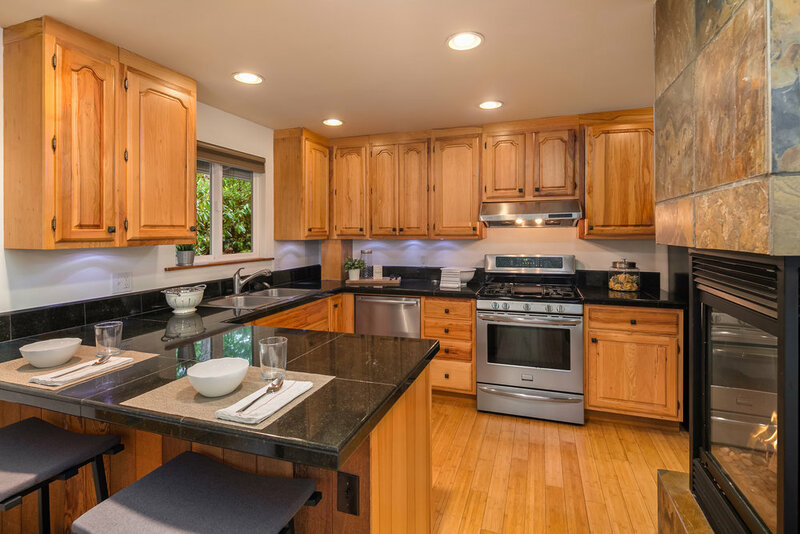 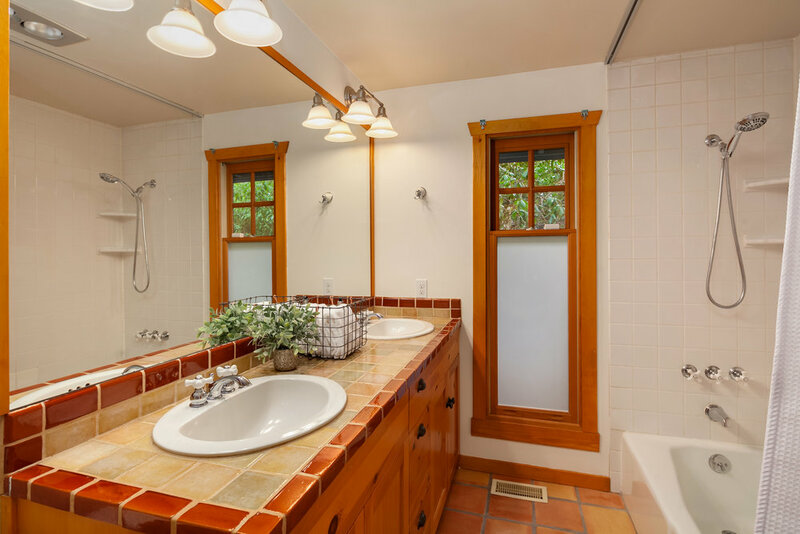 Step into this charming, updated and very private retreat, and breath easy. 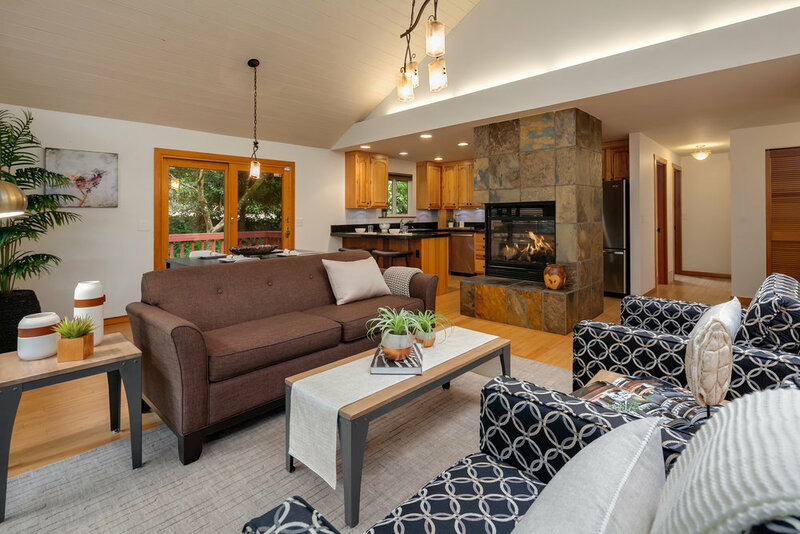 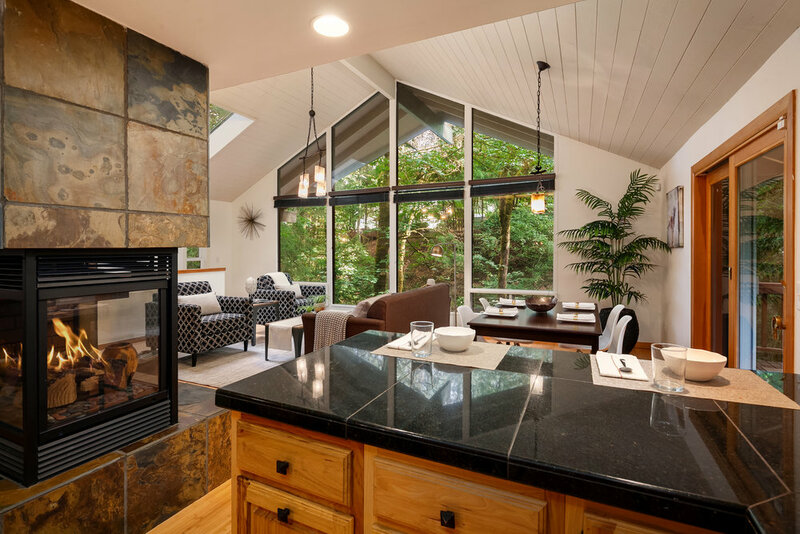 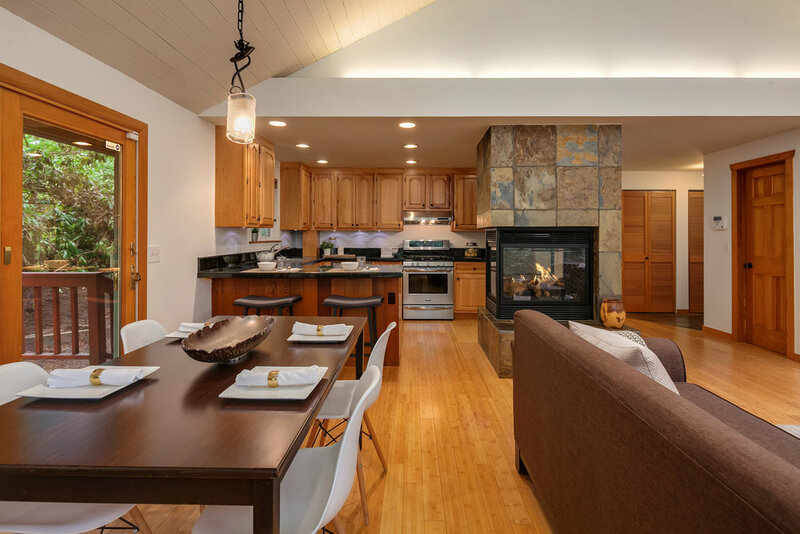 At the heart of the home, is the great room - a sophisticated "tree house" - framed by floor-to-ceiling windows and anchored by a cozy 3-sided slate fireplace, where you'll find yourself communing with friends or simply relaxing. 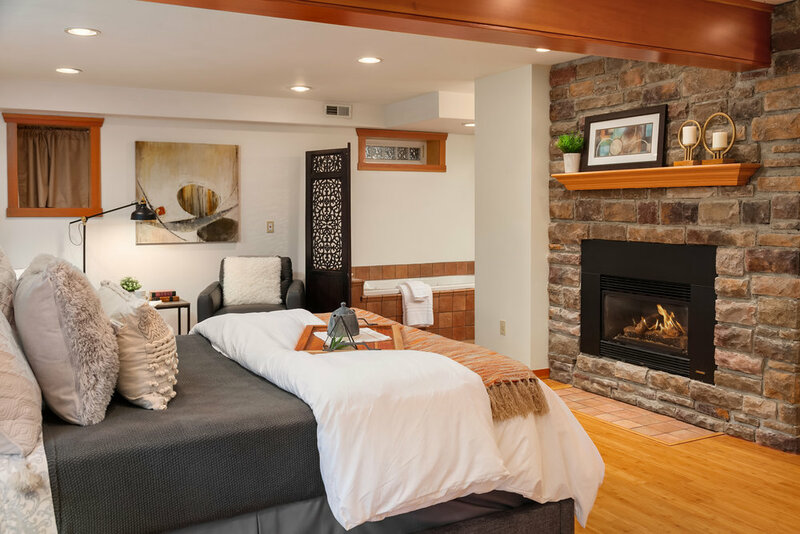 And when it's time to check out, lounge in your spacious master suite with stone fireplace, sitting area, spa-style bath and inviting sunny deck. 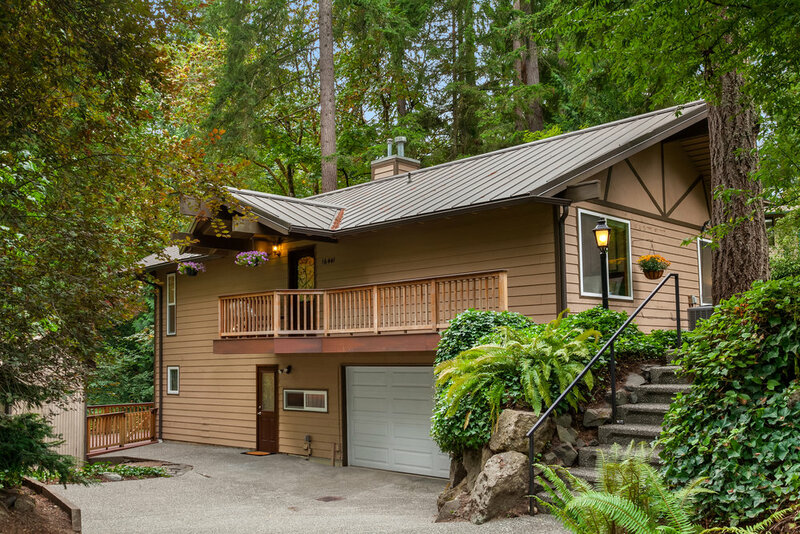 So much to love about this right-sized home.